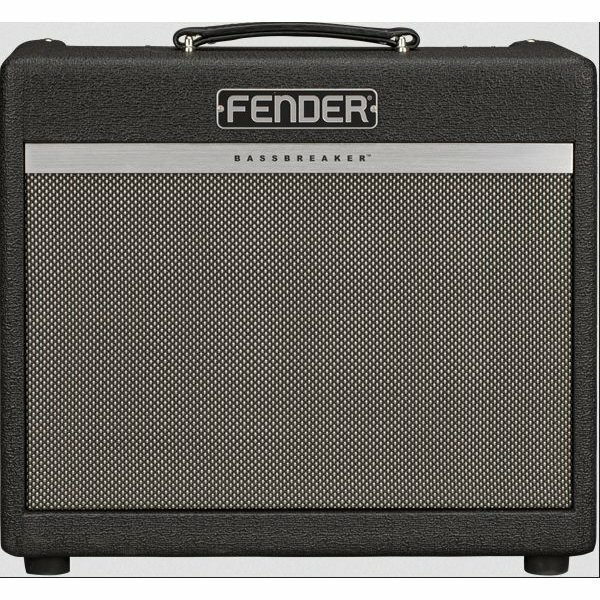 $724.99 This may be in stock for quick delivery; please call! Supercharged with a plethora of flexible features, the Bassbreaker 15 is a top-notch performer for stage or studio. This chameleon-like amp creates its magic with a trio of 12AX7 preamp tubes feeding into two EL84 power tubes for 15 watts of tight, modern tone. The all-new three-position Gain Structure switch gives the amp three distinct "boutique" voices, ranging from mild to wild. They're all tasty and touch-sensitive without masking the character of the guitar. 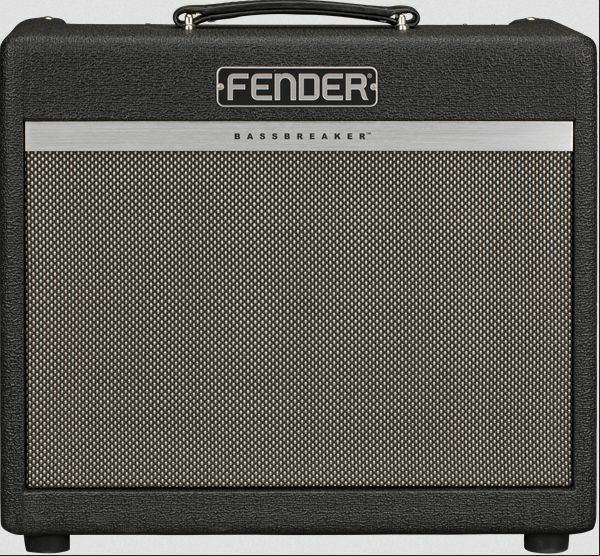 The handsome new Bassbreaker cosmetic treatment includes dark gray lacquered tweed, oversized pointer knobs, Fender "block" logo, and more. With great looks, tone, and features, the Bassbreaker 15 is destined to become a go-to amp for rehearsals, gigging and recording.